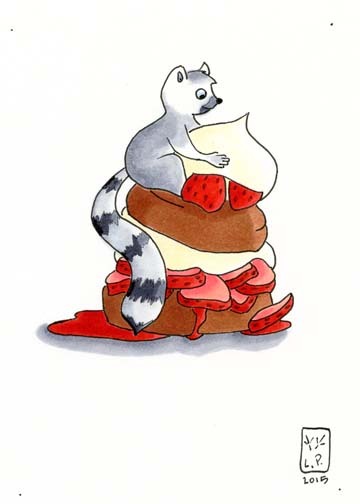 Ringtail Lemur attacking the whip cream on top of some strawberry shortcake. What style of shortcake do you like? Small disk, angel food cake, biscuit, or other? I decided to go biscuit even though I prefer angel food cake. It lets me break up the piece into layers leaving the dessert reminiscent of the lemur’s ringtail.